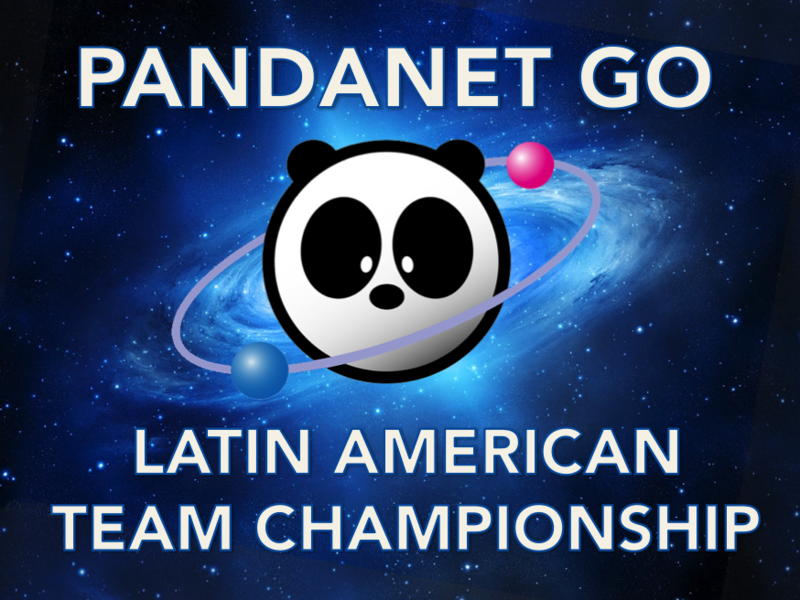 On January 20 2019, the first round of the 3rd Pandanet Go Latin American Team Championship took place on Pandanet IGS. 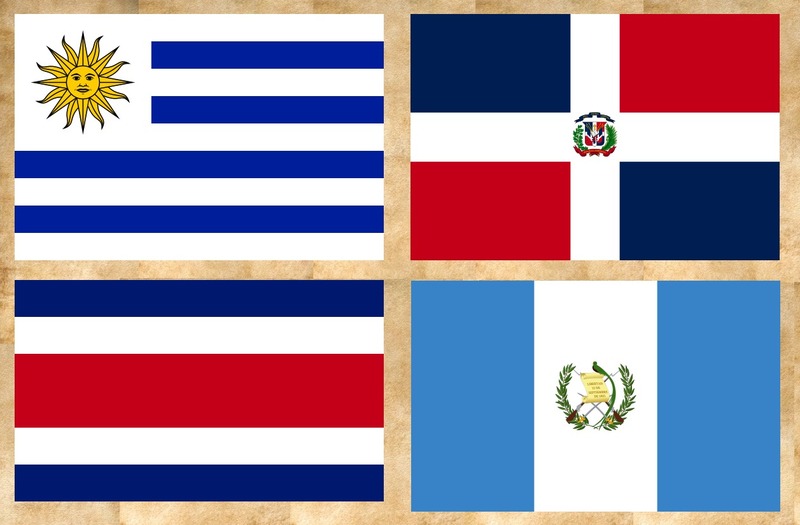 It was a historic day as Uruguay and Dominican Republic made their first appearance in this Championship; although both lost with a 3–0 score against Brazil and Peru respectively. What came as a big surprise were the victories of Guatemala and Costa Rica against Venezuela and Chile, considering that the latter countries ended in 2nd and 3rd place of last’s year Pandanet Latin American League. This is a clear signal that nobody knows what is to come. Colombia swept Ecuador by 3–0, and in a very heated match Mexico managed to prevail against Argentina. Although losing on the 1st board in a preponed game against Argentina’s Fernando Aguilar, Mexico managed to win on the remaining two boards to claim the match point. You can check all the kifus of this round here. Next round is scheduled to take place on February 3 at 19 hrs. UTC-6. This season promises to be full of surprises so keep yourself updated on the Pandanet Latin American League website. The Ibero American Go Federation has recently appointed Brazil to be the host country of the 3rd Latin American Go Congress which will be held in Sao Paulo from October 10th to 13th 2019. 2019 is a very important year for the Associação Brasil Nihon Kiin since they are celebrating the 30th anniversary of the foundation of the São Paulo – Nihon Kiin da America do Sul which was built by Japanese pro player and promoter Iwamoto Kaoru in order to spread Go in South America. 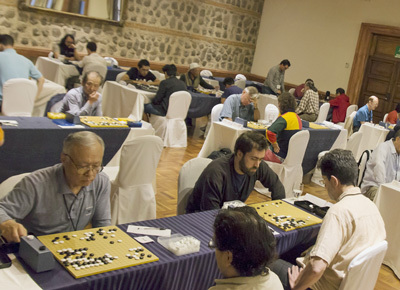 The 3rd Latin American Go Congress will hold several activities such as the 21st Ibero American Go Championship, the 3rd Latin American Youth Go Championship, the 4th Latin American Pair Go Championship and the final match of the 3rd Pandanet Go Latin American Team Championship in which top tow Latin American teams will get to play an over the board final match with transfer expenses sponsored by Pandanet. 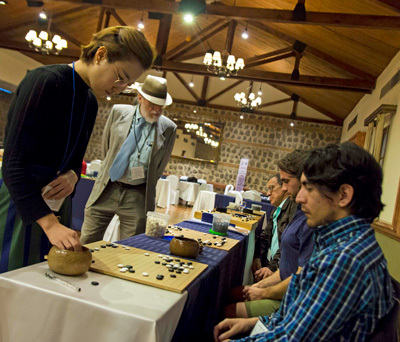 Also pro players will be invited from all major Go Associations around the world such as Nihon Kiin, Korean Baduk Association, Chinese Weiqi Association, American Go Association and European Go Federation. It promises to be a great event. Keep yourself updated with the latest news about this event on the Ibero American Go Federation website. Anyone wanting to attend a summit conference in Japan this November had lots of choices: an AI summit in Tokyo, a seagrass summit in Osaka, an udon (noodles) summit in Kumagaya, and over thirty more, including a go summit. Japanese go summits have been held annually for the past ten years. They are attended by representatives of various small-to-medium-sized cities and towns that are actively promoting go. Many of them have historic ties to the game, such as Hiratsuka (site of the Kitani Dojo), Onomichi (birthplace of Honinbo Shusaku), Hyuga (source of clamshell for white go stones), and Kumano (source of slate for black go stones). The eleventh go summit was held this year on November 22 in Kashima, a city of about thirty thousand in Saga prefecture on the western side of Kyushu, noted for fishing, farming, and seaweed production. Kashima’s connection with go goes back over a thousand years to the Buddhist priest Kanren, who was born there. Kanren was not only a priest; he was the first Japanese go player to be hailed as a go saint (gosei), and he was favorite opponent of the Emperor Daigo, who reportedly took a two-stone handicap from him. Around the year 900, at Daigo’s request, Kanren wrote a go book. Although the book (Goshiki) has not survived, later writers drew from it, and it is regarded as the work that established the Japanese rules and etiquette of the game. There are some interesting stories about Kanren. One concerns a young girl who beckoned to him as he was on his way home. She said she had heard that he was a matchless go player and asked him for a game. He agreed. She led him into a villa, played her first stone in the center of the board, and proceeded to kill almost all of his groups. Realizing that the girl must be supernatural, Kanren fled in terror, but later told Daigo what had happened. Daigo sent an attendant to investigate, but the girl was not to be found; the only person in the villa was an aged crone. Another story concerns a game played with Daigo for the wager of a golden pillow. Kanren won this game, but the pillow was one of Daigo’s prized possessions, and he sent some of his attendants to stop Kanren on his way home and get the pillow back. Kanren deceived the attendants with a substitute wooden pillow, which he threw down a well, and then used the real pillow’s gold to finance the building of a new temple in Kyoto. Continuing in the spirit of these stories, the Go Summit in Kashima began with some local color: a ten-minute exhibition of traditional dancing, featuring two mythical lions and two long-nosed goblins. 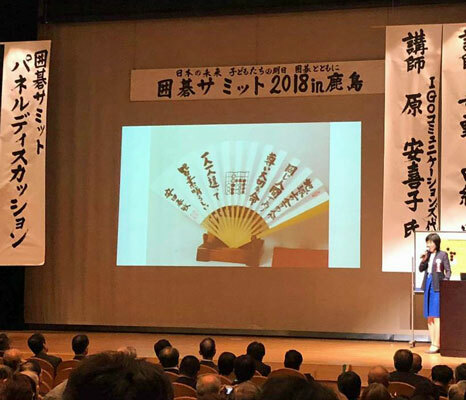 Then the mayor of Kashima gave the opening address, in which he explained that because of Kanren, Kashima regards itself as the birthplace of go in Japan. Next to speak was Dan Hiroaki, chief director of the Nihon Kiin, who pointed out that the rise of artificial intelligence had transformed go by discrediting most of the opening patterns that everybody had been playing without question for years, so that now human players were having to think for themselves again. This is also what Japanese educators are trying to get Japanese school children to do, instead of just having them learn information from textbooks. Mr Dan went on to mention Yasuda Yasutoshi, the 9-dan originator of capture go (first player to capture a stone wins), who passed away last May. Mr Yasuda’s term for this form of go was fureai-go: literally, ‘touching-each-other-go’, or perhaps ‘friendly go’ would be a better translation. Although no human go player can hope to surpass the best AI any more, Mr. Dan noted that playing go is still a great way to make friends with all types of people, and that this contributes to community development. After some introductions, Shigeno Yuki and Hara Akiko took over to deliver the keynote addresses, but first they gave us a live demonstration of ‘friendly go’. Three complete beginners who did not know how to play were enlisted from the audience and summoned to the stage, where a 9-by-9 demonstration board had been set up. Opposing them were three experienced players from the Nihon Kiin. After being shown how to capture a stone by blocking its four exit routes, the two teams chose colors by the paper-scissors-rock method and immediately began to play, the beginners’ team playing white. It soon became obvious that the Nihon Kiin team was following a simple strategy: play moves that do not capture any white stones. Eventually one of the beginners found a move that captured three black stones, and the game was over. The victorious beginners left the stage to a round of applause. Needless to say, the Nihon Kiin team did not burst out in tears, as some young children have been known to do when their stones get captured in this game. Next Ms Hara, who directs Go Communications, a Tokyo organization that implements Mr Yasuda’s ideas, gave a rundown of Mr Yasuda’s career. In particular, she told how he had started the friendly-go movement in the mid-1990s in response to a series of much-publicized suicides by middle-school students who had been harassed at school. He approached the authorities and was shown five suicide notes that the students had left. What they all had in common was their inability to talk their troubles over with anyone. Using go as a way to help people break out of their isolation, Mr Yasuda began teaching go to children in his friendly way, and almost immediately began to see the results he was hoping for. 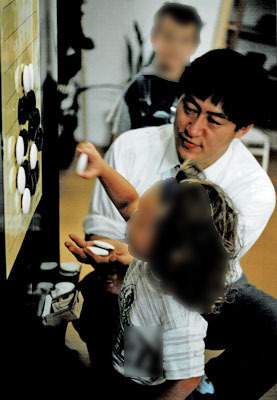 Go was helping children make contact with each other, sometimes even physically, as when he used the children themselves as go stones to illustrate the concept of atari. Ms Shigeno, the Summit coordinator and a Nihon Kiin director, continued on this theme in the context of Mr Yasuda’s work in teaching go to people with serious disabilities, such as autism and Down’s syndrome, and her own experiences in teaching go in Europe and other places. It was in Malawi that she was struck by the realization that go can enrich people’s lives in a way that money, roads, and material wealth cannot. The keynote addresses were followed by a panel discussion and then by reports by representatives of various cities and towns on the go activities they were carrying out. These included go festivals of one kind or another in almost all the cities and towns, teaching activities aimed mainly at children but also at older people, the hosting of amateur tournaments and professional title games, and teaching visits by professional players from the Nihon Kiin. Various benefits were cited. One speaker told how friendships formed over the go board had helped persuade the local populace to accept the construction of a strongly opposed waste treatment plant. The key phrase heard throughout the discussions, however, was inochi wo tsunagu. This literally means ‘connecting lives’, but the real meaning of the Japanese expression is ‘keep alive’, which was Mr Yasuda’s concern. All go players want to have lots of living opponents, and as one of the speakers pointed out, keeping its citizens alive is the most important responsibility of any local government. The Summit concluded with a pledge to expand and develop local go promotion acitivies, to give go an increased role in children’s upbringing and provide more local facilties where they can play, and to learn from one another and cooperate in a spirit of mutual respect. It was followed by a welcoming party for Iyama Yuta and Yamashita Keigo, who had split the first two games of the Tengen title match and were to play the third game at the Yutoku Inari Shrine the next day. 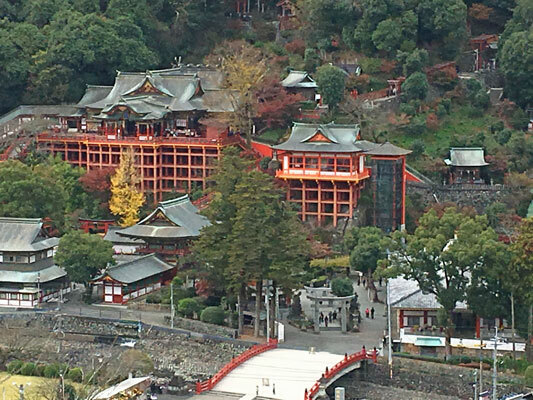 This shrine is Kashima’s most famous attraction. 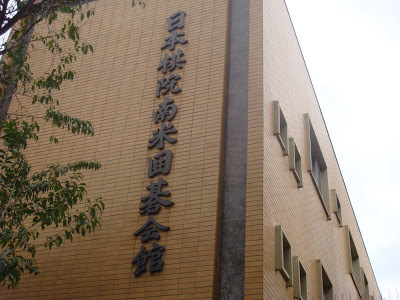 It has a stone monument to Kanren in its outer garden, and it hosts an annual Yutoku Honinbo tournament, which draws amateur go players of primary school age and up from all over Kyushu and beyond. Iyama spoke of his good memories of the shrine: he had played the third Tengen game there in 2013 and won, defending the title for a third time. Yamashita countered by recalling that he lost the Tengen title in 2010 in Karatsu, another city in Saga Prefecture, but said that he felt relaxed about tomorrow’s game because even if he lost that game too, the title match would not be over. The game started at 9 o’clock the next morning. Many of the Summit attendees also attended the public commentary held in the afternoon in a public hall on the shrine grounds. The game may even have been observed, from a higher vantage point, by the shrine’s three Shinto gods: Uganomitama, the god of rice; Omiyanome, the god of arts, crafts, prosperity, and happiness; and Sarutahiko, who guides seafarers and other travelers. Perhaps these gods enjoyed the game. The human spectators at the commentary certainly did, and many of them took home small prizes awarded twice during the commentary to people who correctly guessed the next move. The commentary continued even after black (Yamashita) had resigned. 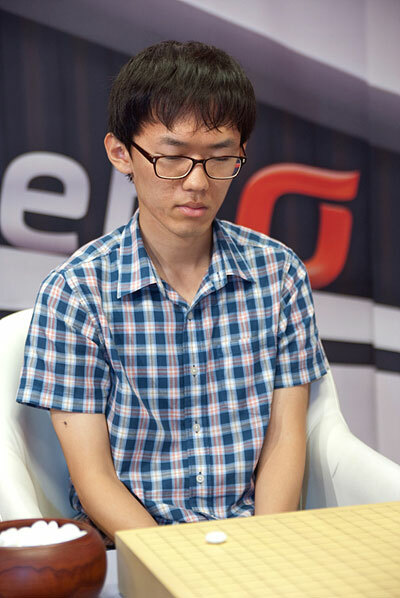 One of the more perceptive comments was made by a local schoolboy in the audience who pointed out that, in the final position, black could have killed a white group in the bottom right corner. Unfortunately that would not have compensated for the death of a larger black group extending from the top edge into the center, the frailty of the black group in the lower left, and the big territory white was building up on the left side. The commentary concluded when the players themselves came over to add their own remarks. Iyama was modest in victory, Yamashita was cheerful in defeat, and on that happy note, everybody went home. 1. Yutoku Inari Shrine, one of the largest of the many Inari Shrines in Japan, where one can offer thanks for the basic things in life: food, clothing, shelter, and in particular, rice. 2. 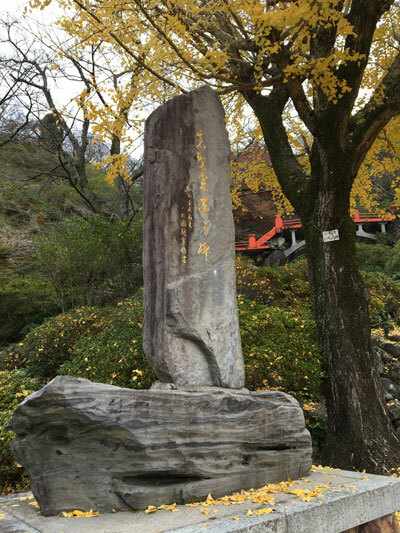 Stone monument to the go saint Kanren, put up in 1952 to commemorate the first Yutoku Honinbo tournament. The inscription was written by Segoe Kensaku, whose Go Proverbs Illustrated was the first really useful go book to be translated into English. Perhaps some readers can recall reading it and seeing their kyu level shoot up a few stones. From the 10th to the 21st of November, Mexico City will host a series of events having as special guest Mr. Ryu Soohang 7 dan pro from the Korean Baduk Association. On November 10th Mr. Soohang is taking part in the Pan American Baduk Championship organized by the Korean Cultural Center and after that he is participating in a teaching tour organized by the Mexican Go Association.Among his activities he will be teaching kids in Pipiolo and Serapio Rendon elementary schools where Go is part of the curriculum. Later on he will be giving simultaneous games at Mexico’s Autonomous National University Science Faculty, where the most talented Go players in Mexico have come from. The next stop in the tour is a visit to the iconic Ekoji Temple Go Club where players gather every Saturday to practice. To finish this spectacular tour throughout Mexico’s go spots he will be giving lectures, playing simuls and reviewing championship games during the 5th Mexican Go Congress which will take place from November 17th to 19th. This last one is the biggest event in Mexico’s go scene. You will be able to follow Mr. Soohang’s lectures during the Mexican Go Congress through Mexican Go Association’s youtube channel. Most of the participants arrived on Friday 12th afternoon on which the registration opened at Porta Hotel Antigua, where friends from old times met and new friendships began to grow. The Guatemala Igo Club staff was very caring and gave the participants a feel of being home from the very start. The Hotel setting was superb, filled with artesanal crafts and in a colonial and cozy architecture. On Saturday morning the start flag was waved. Welcoming words from Jose Romero Guatemala Igo Club president and Emil García Ibero American Go Federation president were given. Next a very emotional speech was given by Edgardo Cáceres who talked about Hans Pietsch and his enormous legacy, tears couldn’t be stopped since it was in his arms where Hans gave his last breath 15 years ago. After the opening ceremony the 20th Ibero American Go Championship started. A 43 player field stored the back of the Congress Hall for the first 2 rounds. After the rounds, lunch buffet was served besides the pool giving the participants a feel of luxury and comfort. After lunch Zirui Song’s 1p lecture on his own game at the US Go Congress was given. 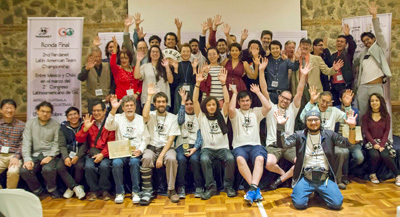 Simultaneously the final match of the 2nd Pandanet Go Latin American Team Championship was played between Mexico and Chile, in which Mexico defended the title with a perfect 3-0 score. 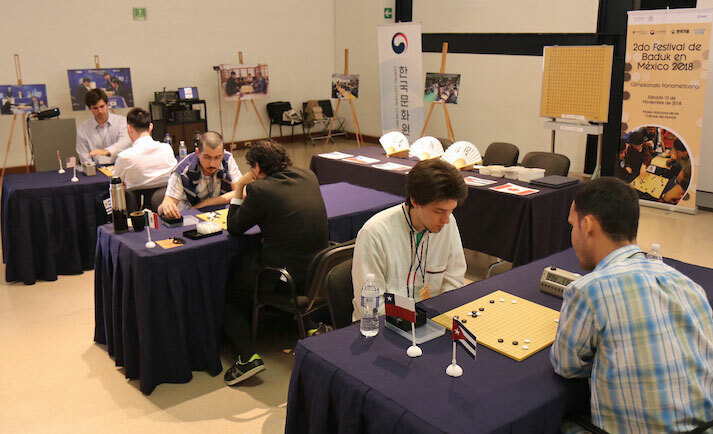 Later on simul games offered by Cho Hye-yeon 9p, Eun-kyo Do 1p and Zirui Song 1p, the first two from Korean Baduk Association and the latter from American Go Association were given.The day ended with the first round of the 3rd Ibero American Pair Go Championship with 6 couples playing. A nice dinner on a traditional restaurant on the iconic street of the Arc in Antigua was held after the busy first day. 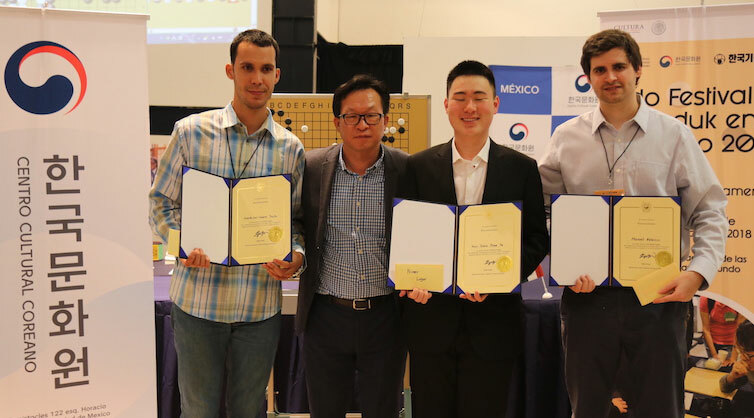 Second day held the next two rounds of the Ibero Championship, a lecture about Under the stones was given by Cho Hye-yeon 9p while simultaneously the 2nd Latin American Youth Go Championship took place. Afterwards simuls were given again by the 3 invited pros. At last, the second round of the Pair Go Championship was played and a Crazy Go activity was run by Terry Benson, president of the American Go Foundation, who by the way gave many insights to the organizers about his experiences in building Go Congresses and Go organizations. The third day the schedule went pretty way the same with the distinctive that Eun-kyo Do 1p gave her 1st lecture as a professional player (she recently became pro in Korea, at the age of 33, giving hope to many elderly players in achieving this goal). Finally the closing ceremony was full of emotion and happiness with words from Edgardo Caceres, Eduardo Lopez vice president of IGF who celebrated the uprise of this new movement in Latin America and Jose Romero delivering trophies and awards to Abraham Florencia of Mexico who came up as Ibero Champion, to Mexico as Pandanet Champion, to David Ramirez of Colombia as Youth Champion and to Eun-Kyo Do and Hector Paiz from Guatemala as Pair Go Champions. It was a fantastic event which strengthens the Latin American Go community and in which the Guatemala Igo Club got a perfect 10 in organization. Congratulations!! Check out the event’s full album on the Congress Website. Host country for the next Latin American Go Congress it’s still not decided, but candidates have already raised their hand. Soon a Ibero American Go Federation assembly will take place where next year venue will be decided! Stay tuned for more info on the Ibero Go Federation webpage. The 17th World Student Go Oza Championship will be held in Tokyo from February 18th to 22nd 2019. The deadline for applications to the championship is October 21st. 2018. Players interested in participating can check the outline of the championship here. Please note that accommodation and round-trip ticket will be covered by the organizer. · Persons who will be able to take part in the Championship held in Japan in late February. – Organizer: The All-Japan Students GO Association / Nikkei Inc. / PANDANET INC.